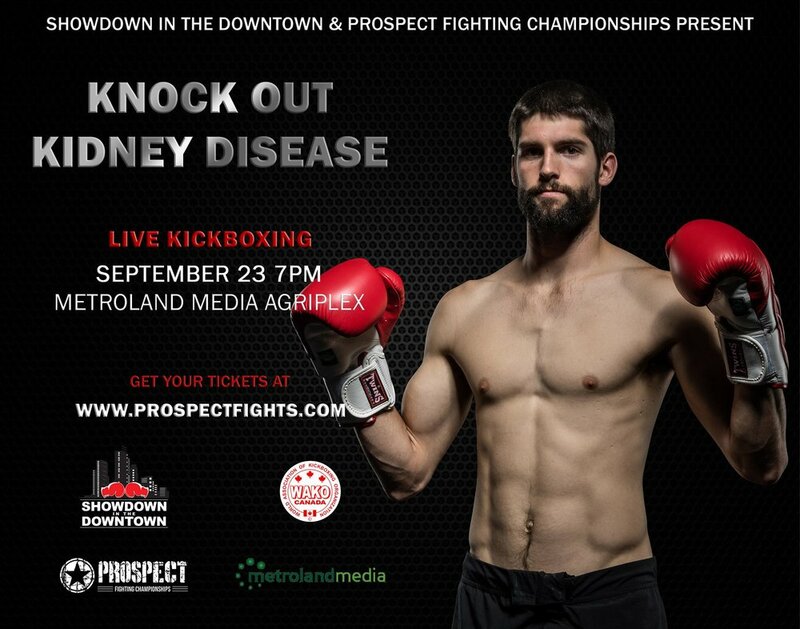 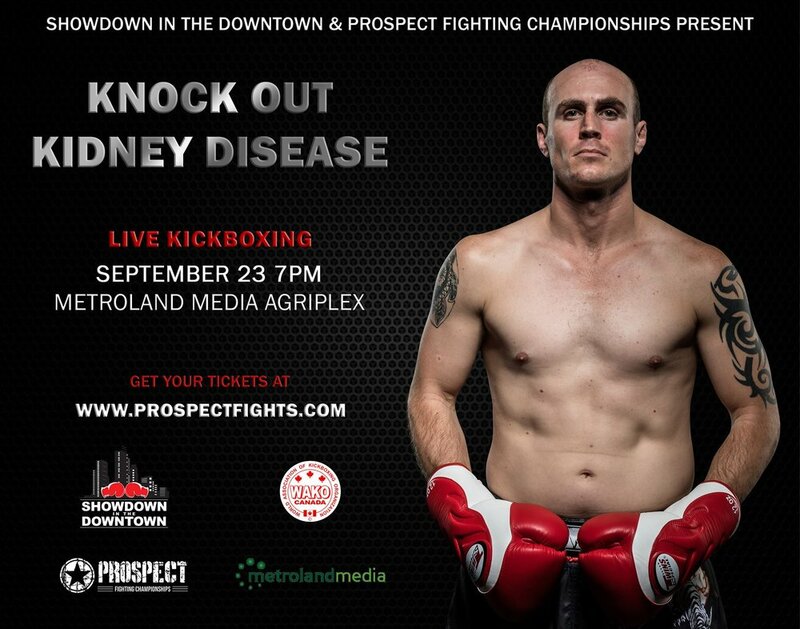 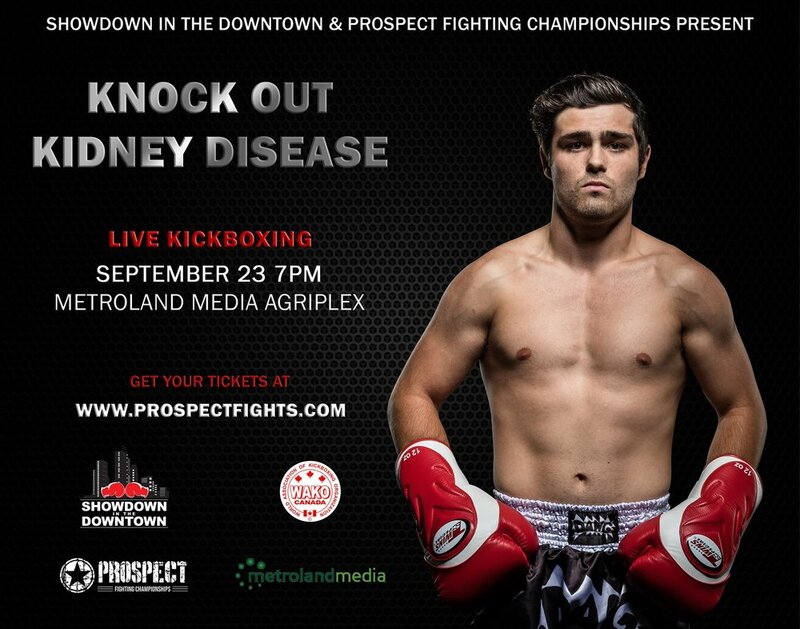 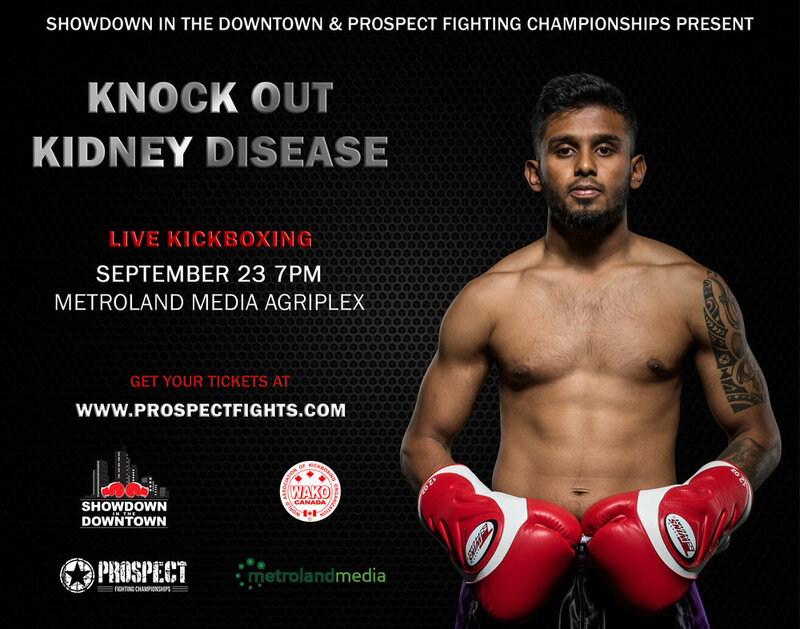 Prospect Fighting Championships and Showdown in the Downtown have teamed up to bring you “Knockout Kidney Disease” - A night of Live kickboxing! 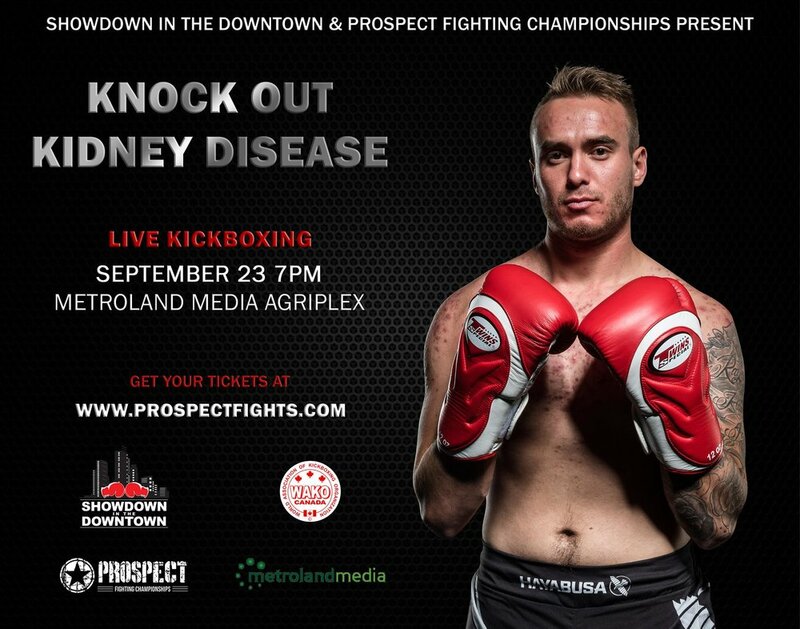 Metroland Media Agriplex | 845 Florence St, London, ON. 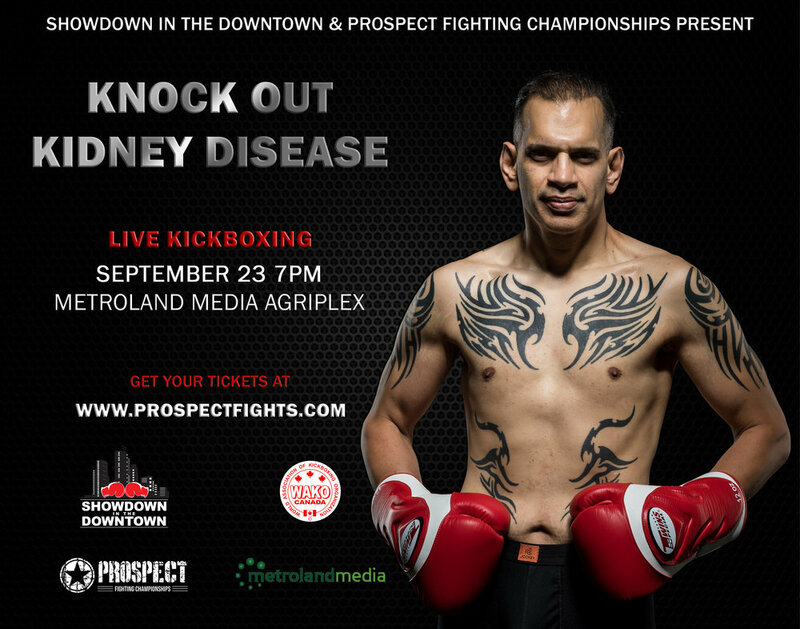 I did the official posters as well as the individual fight posters for the event. 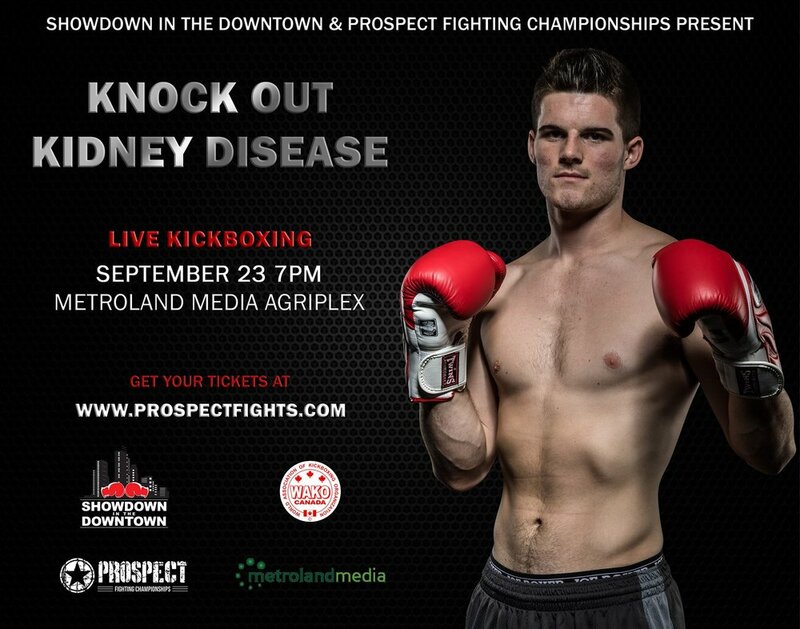 - ‘Showdown In The Downtown’ is a Business Attire affair that will raise much needed funds in support of The Lilibeth Caberto Kidney Clinical Research Unit, Matthew Mailing Centre for Translational Transplant Studies, Mary J. Wright Research and Educational Centre, First Episode Mood and Anxiety Program, Unity Project, and London Health Sciences Foundation. 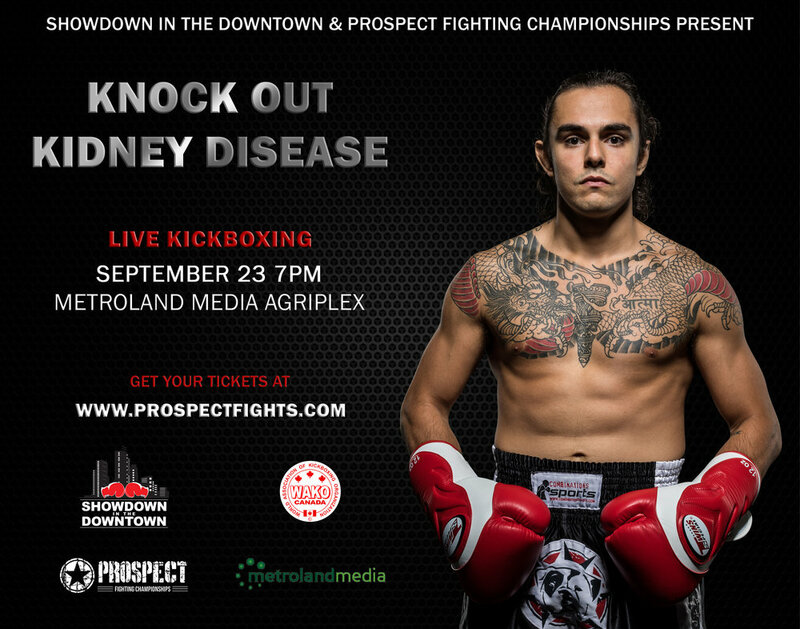 Funds raised will be directed towards research that will help us fight kidney disease and improve patient outcomes after organ transplantation.